Hey guys I am having a really difficult time finding a 2004 C5 z06 rear wheel. It is part number 9594810 and the size is 18x 10.5. It is the NON chrome version. Any help or direction is greatly appreciated! Thank you! Thank you so much for the recommendation! I really appreciate it! And I am searching for a used one preferably! I had the issue just a few weeks ago when I noticed one of my rear wheels had a crack in one of the spokes. My '03 ZO6 has only 10,305 miles on it and sits in a heated garage and now this happens. 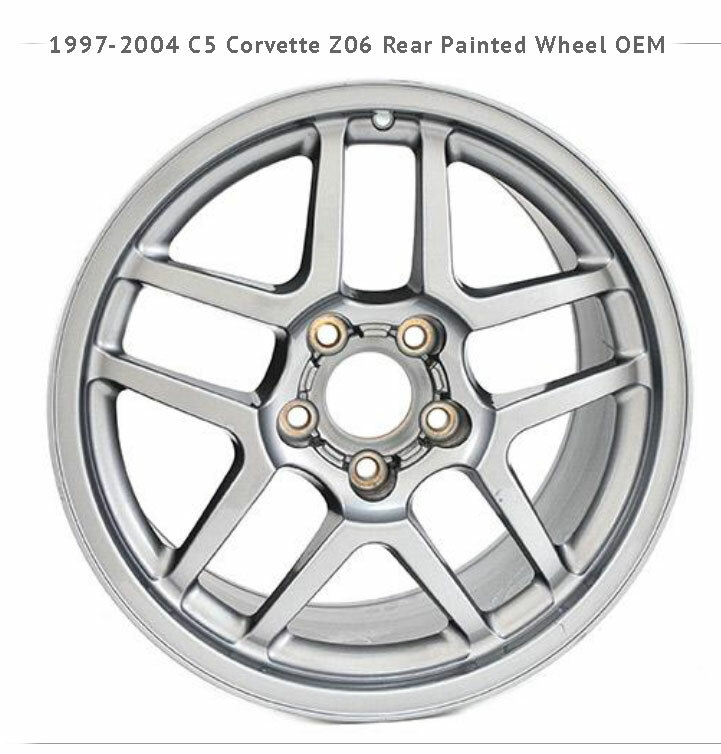 Anyway I researched and found a place that sells used and believe it or not NOS C5 wheel. I purchased a "NEW" rear wheel and it arrived this past Friday. Yes it is brand new and not reconditioned as some people may think. Contact Mike Figlak at [email protected] and he will gladly help you.